Welcome to the Winter Season 2015. As a tribute to Lauren Bacall, here she is, aged 19, in this classic first pairing with Humphrey Bogart in the great Hemingway adventure directed by Howard Hawks. “Every woman has a past and every man has a price” as the trailer has it. She is just fabulous! Hoagy Carmichael plays piano. As a tribute to Lauren Bacall, here she is, aged 19, in this classic first pairing with Humphrey Bogart in the great Hemingway adventure directed by Howard Hawks. "Every woman has a past and every man has a price" as the trailer has it. She is just fabulous! Hoagy Carmichael plays piano. BW. French comedy which broke box office records in France. A post office manager tries to get relocated to the South of France but ends up somewhere less exotic. French Subtitles. In 1947 Thor Heyerdal set out to travel 5000 miles in a balsa wood raft to prove that Peruvians could have colonised the Polynesian islands. Spectacular new film of the story. David Tennant, Rosamund Pike, Billiy Connolly and Celia Imrie in a great British comedy from the writers of Outnumbered. Set in 1952, a compelling Daphne du Maurier story in which a man is duped into taking on the life of his double. With Matthew Rhys, Sheridan Smith and Eileen Atkins. For Valentine’s Day a romantic comedy by Woody Allen featuring Eileen Atkins, Emma Stone and Colin Firth as a magician who specialises in exposing fraudulent spiritualists. Set in the south of France in 1928. Jean-Luc Godard’s highly rated tale of commerce versus art in the making of a film based on Homer’s Odyssey. With Brigitte Bardot, Jack Palance, Michel Piccoli, Giorgia Moll and and Fritz Lang the director, as the director. Fascinating and thought-provoking film. Brilliant comedy based on the seven deadly sins and seven house moves across London in the 1980s. With Bernard Hill, Warren Mitchell, Denis Lawson and the much missed Billie Whitelaw. Keira Knightley, Adam Levine & Mark Ruffalo in a musical tale wherein a chance Manhattan encounter between a disgraced music executive and a street singer proves fortuitous. Philip Seymour Hoffman in a gripping John Le Carre story featuring the illegal arrival in Hamburg of a Chechen Muslim who becomes embroiled in the international war againast terror. The last film made by this brilliant actor. Also stars Rachel McAdams. A psychiatrist travels the world to discover the sceret of happiness. With Simon Pegg and Rosamund Pike. Entertaining and original Peter Chelsom film. Ben Affleck and Rosamund Pike in an outstanding film drama concerning the mystery of a disappearing wife. Based on the thriller by Gillian Flynn. BEHIND THE BEAUTIFUL FOREVERS – play by David Hare from the acclaimed book by Katherine Boo featuring life on the outskirts of Mumbai. Excellent comedy, based on a true story, in which a gay group tries to assist Welsh miners during the 1984 miners’ strike. With Bill Nighy, Imelda Staunton. and Dominic West. Maggie Smith, Kristin Scott Thomas and Kevin Kline as an American who inherits a flat in Paris which comes with a sitting tenant. An Asian family brings Indian cuisine to the South of France. Madame Mallory (Helen Mirren), who runs a Michelin-starred restaurant just opposite, is not impressed. Mike Leigh’s visual feast with Timothy Spall in excellent form as the great artist. Many brilliant scenes including the replica of Stephenson’s 1830 Planet locomotive in full steam. 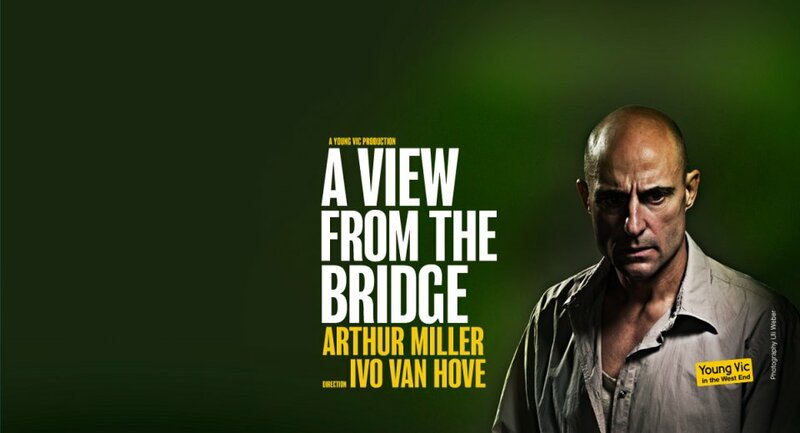 A VIEW FROM THE BRIDGE - Arthur Miller. The Young Vic’s ‘magnetic, electrifying, astonishingly bold’ production, with Mark Strong as Eddie Carbone. Benedict Cumberbatch as the great Alan Turing leading the desperate battle to decipher the WW2 Enigma code. With Keira Knightley, Charles Dance. Special 75th anniversary screening of the remastered great classic with Clark Gable, Vivien Leigh, Leslie Howard and Thomas Mitchell. • 7.30pm - Part 2. Supper will be available to eat either at your seat or in screen two during the hour long interval. There will be a choice of two main meals, one hot and one cold option. Cajun Gumbo - A hearty, spicy stew made with chicken, seafood, okra and peppers served with cornbread. Southern Fried Chicken served with ranch salad, coleslaw and nachos. Please let us know by 1st March if you would like to order a meal.